Millions of students in Africa attend school without desks in their classroom. They have to sit on the cold floors, sit on their knees, read and write on the ground using their chairs as their desk. This might sound difficult to many people but for these school going children, this hardship they have to face everyday is a part of their live. Despite this difficulties, it is their resilience and their passion for learning that keeps them going. One such school is in Kei Mouth, Eastern Cape, South Africa.. Students of Isiseko Junior Secondary School don’t have to worry about coming to school without a desk. All thanks to former Mr South Africa Armand Du Plessis. On learning about the plight of students in Isiseko Junior Secondary School, Amand was moved and decided to help the students. Being the brand ambassador of of DeskBags, he raised funds for 100 deskbags and another 160 deskbags was donated by Shannon Roscher, MD of DeskBags. Armand personally donated a total of 260 deskbags much to the delight of children of Isiseko Junior Secondary School. A DeskBag is a hybrid satchel that acts as a fully functional school bag that folds open into a portable desk. 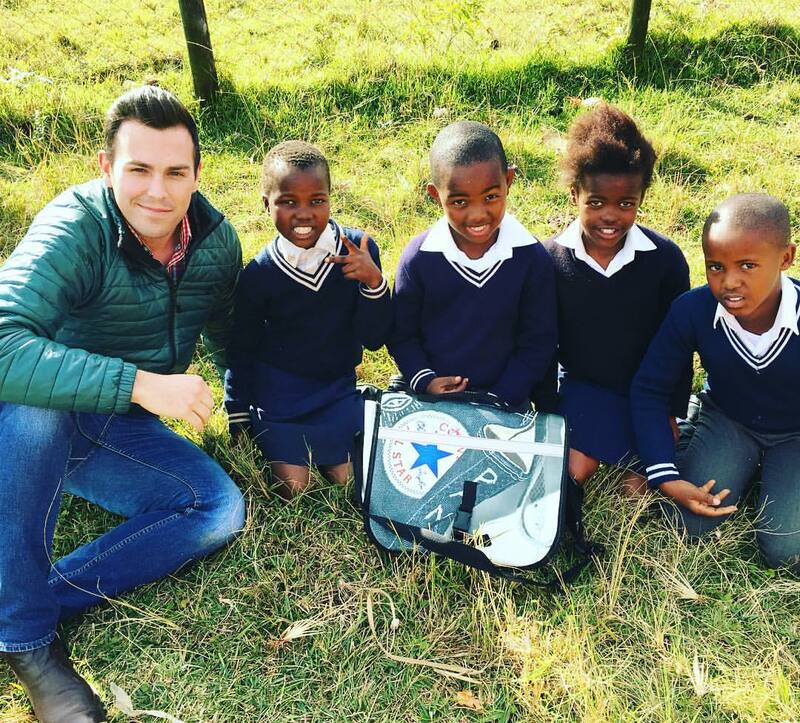 Aside from being made from 100% recyclable billboard materials, DeskBags are school bags that provide a portable desk solution for learners to use at school and at home. The front flap of the bag is reinforced with durable ABS plastic, that when folded open, allows for instant desk support. The light weight school bag also allows plenty of space for learners to carry all their books and stationery whether they are in pre-primary school or matric. Furthermore, DeskBags also come with reflective binding that allow children to be easily spotted when walking in the rain or dark.